A couple of days ago we ran a post noting that the Airspy HF+ WRTH review was now available for public viewing. 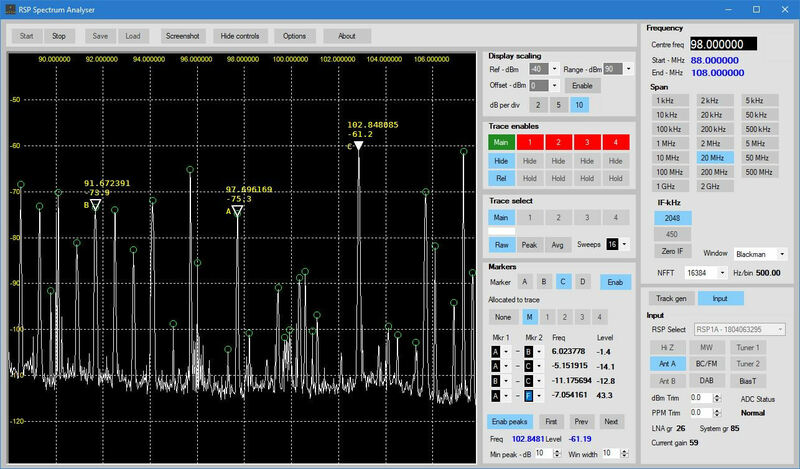 Now thanks to Jon Hudson of SDRplay for letting us know that the SDRplay RSPDuo review from WRTH has also been released for public viewing (pdf). The SDRplay RSP Duo is a 14-bit dual tuner software defined radio that is capable of tuning between 1 kHz - 2 GHz, with two separate 2 MHz bandwidths tuned to anywhere within that frequency range. The review provides an overview of the RSPduo noting it's various features and discussing the SDRuno software. They also note that diversity reception would be an excellent application for a dual tuner SDR, but SDRuno does not support this feature as of yet. In their tests they also mention how they found very few overloading problems. Jon would also like to note that the pricing in the review is incorrect. The RSPduo is US$279.95, and right now there is a seasonal $50 discount for US customers at HRO.